As most of you already know, Google keeps a tab on pretty much everything you do on a Google site, provided that you signed in on any one of these websites. Everything you do is recorded, and can be used against you in the future. Search data can reveal particularly sensitive information about you, such as facts about your location, interests, age, religious views, and so on. You can, however, choose to not be so vulnerable, and can remove all of your Google web history to protect yourself from an unforeseen eventuality. 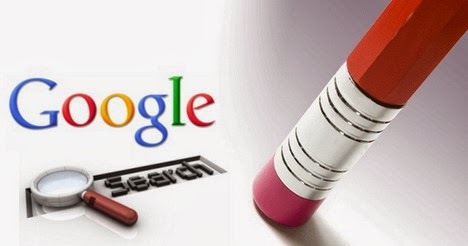 In this post, I’ll show you how to remove your entire Google web history. Before we begin, please note that any data you remove will be deleted permanently. Google keeps a lot of useful information that helps you find what you’re looking for faster. It gives you quick access to webpages you’ve visited in the past, and even lets you know in search results which pages you’ve visited, and when. This information can be useful if you’re a power user, and like to get things done quickly. But if you still want, you can go ahead and erase your entire web history. You can also pick and choose individual items to remove, so that you won’t lose everything. Follow these steps to partially or completely. Step 1: Visit your Google History page at https://www.google.com/history. Alternatively, you can click the gear icon on the upper right corner of a search results page, and then go to Search history. Step 2: Click on the gear icon again, and then go to Settings. Step 3: Click on the delete all link. You’ll be prompted for a confirmation. Click on Delete all again, and your entire search history is gone! If you don’t want to delete your entire history, you can select individual items from the History main page, and delete them. This, by no means, implies that Google has nothing more to do with your data. They still keep some of your information on their servers for auditing and other such purposes. But at least your personal data is off the line now, and isn’t susceptible to leaking out into the wrong hands.